Home » Middle East » Why such rainy, cold weather in the Middle East this spring? DUBAI: Unstable weather conditions across the Middle East and North Africa (MENA) have left residents and experts wondering why spring in the region has felt more like winter. From cloud seeding to climate change, a number of reasons have been attributed to the storms, rainfall and lightning that have hit the region this month. 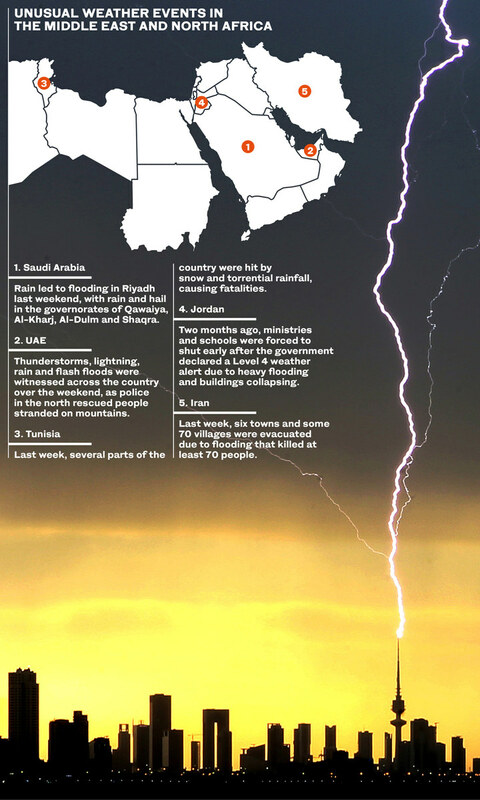 Last month, the Saudi General Authority for Meteorology and Environmental Protection warned of thunderstorms, dust and active winds in the southwestern city of Najran and the western city of Al-Baha. Citizens and residents were warned of wind and dust limiting visibility, with a chance of rain and clouds in the Tabuk region, including coastal areas. Climate experts have called the sudden change in weather “exceptional” compared to the last three years of dryness witnessed across MENA. 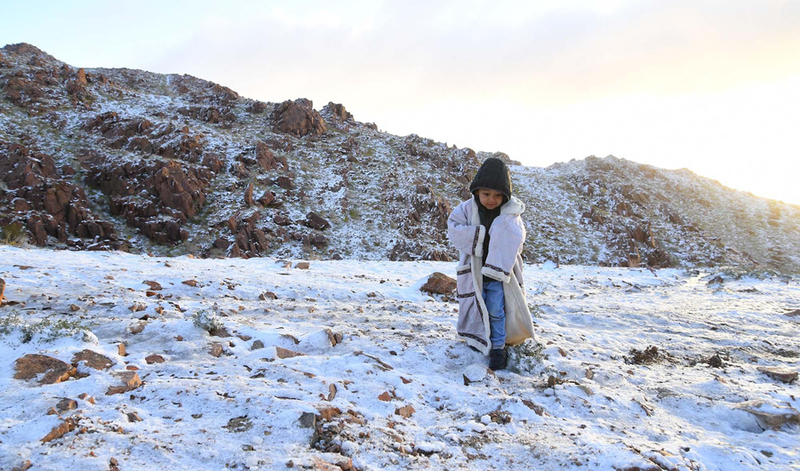 Last week, several parts of Tunisia were hit by snow and torrential rainfall, causing fatalities. 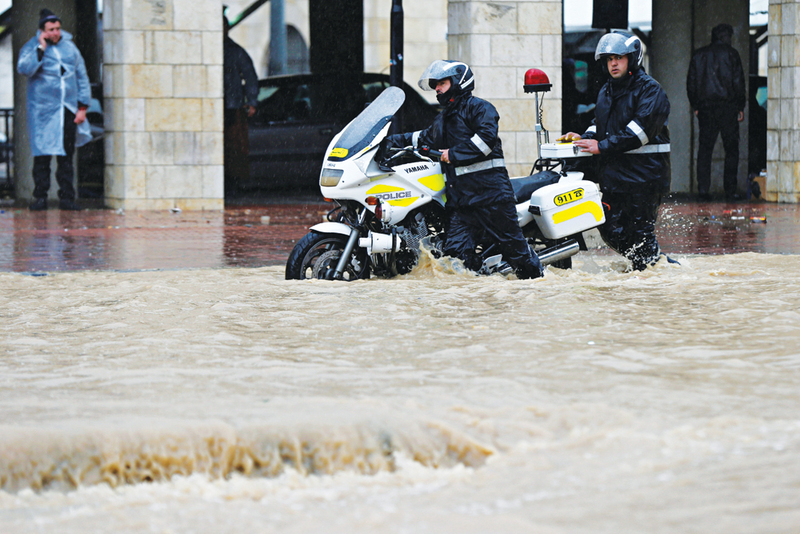 Floods and colder temperatures were also felt throughout the Levant. “This April was exceptional in many countries, like the snow that hit Tunisia … We feel it’s exceptional because the last three years have been three successive dry years in North Africa,” said Dr. Karim Bergaoui, a climate and water-modeling scientist at the International Center for Biosaline Agriculture in Dubai. Rainfall and humidity have been high across much of the Middle East, particularly in the Arabian Peninsula, according to the ECMWF Copernicus Climate Change Service. “The differences we’ve experienced are the result of high-level atmospheric conditions, which have brought predominantly low pressure systems over MENA,” said Dr. Rachael McDonnell, global fellow at the Daugherty Water for Food Institute at the University of Nebraska. While Bergaoui called for more analysis, he said climate change could be one of the causes of such unstable weather conditions in the region. “We know from a climatological point of view that the sea surface temperature really affects the convective system (a collection of thunderstorms that act as a system) here, so it might be one of the causes. We need to study the sea surface temperature in the Gulf,” he added. Johnny Bowen of outdoor clothing company Great British Outfitters noted a 26 percent increase in sales of winter clothing in the region during the first quarter of 2019 compared to the same period last year.